I've always loved history and the great feats of engineering in the Victorian age like the building of railways is something I'm particularly interested in. I've become a bit of a railway geek over the past few years so I knew that when I headed to London on a recent trip with Martyn that the Transport Museum would be on my list of things to visit. 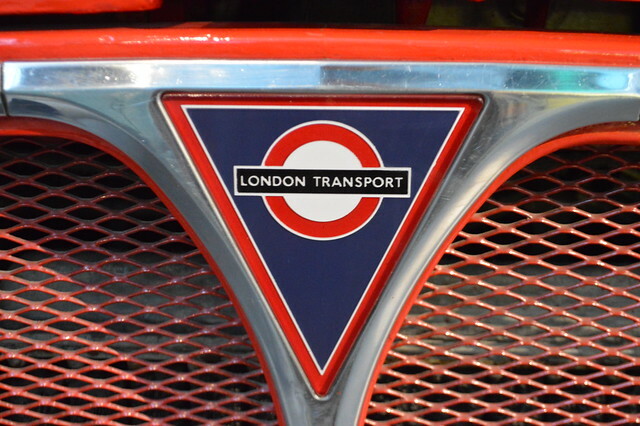 The Museum explores the powerful link between transport and the growth of modern London, its culture and society since 1800. 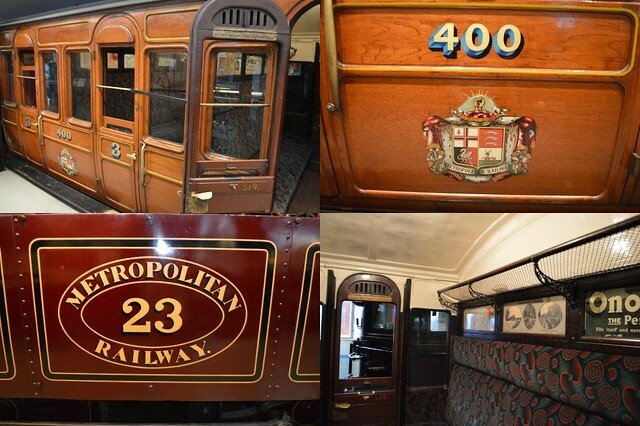 Highlights included the iconic red London bus and the world’s first Underground steam train. 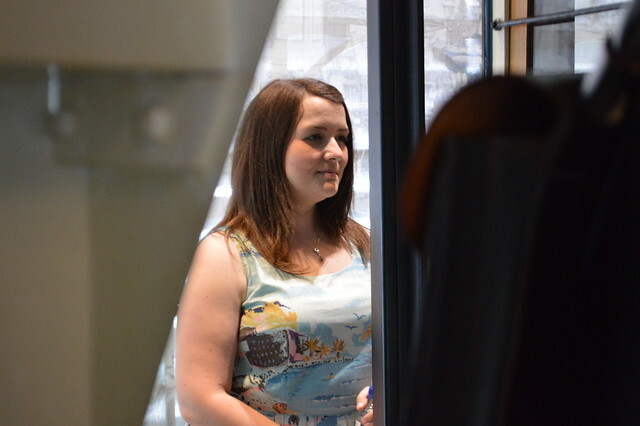 The galleries are full of interactive exhibits for people to explore - including real buses and trains, my ideal way to spend an afternoon. Would you trust me to drive a London Bus? The train above is one of the only remaining underground steam trains in existence. Steam trains were used from 1863-1905 on the London Underground Metropolitan Railway line. The first underground railway was designed to transport passengers arriving at London’s main line stations into the City. Paddington, Euston and King’s Cross were all some distance from London’s central business district. An underground line built below the main road to the City avoided most of the property demolition needed to build a railway at ground level. It also relieved the growing traffic congestion on the roads which were full of horses and trams. The tunnels built for this railway were all dug out by hand by thousands of navvies and are still in use today because they were of such a high standard. In the 1920s buses were the most popular mode of transport in London. By 1930 Londoners were making 1,958 million bus journeys annually. 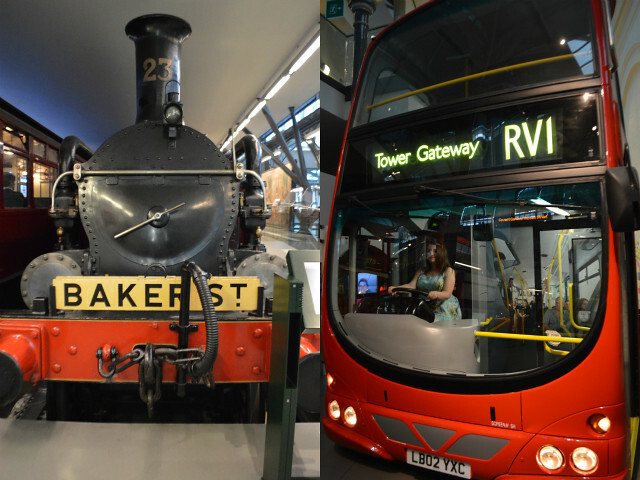 The museum is currently celebrating 'The Year of the Bus', I love the iconic red buses but would have loved more train focused content(or even a museum solely dedicated to the Underground) but that didn't stop me from loving every moment in this museum. I really enjoyed Goodbye Piccadilly: From Home Front to Western Front which revealed the story of London’s Home Front during the First World War. I think Martyn's highlight was seeing all the different tube carriages and seeing how they have changed over time. It's there until March and has some interesting sections about how the war accelerated social change including women working in the transport sector for the first time. If you want to visit the museum yourself (which I highly recommend) the details are below. If you travel to London on a First Great Western train like I did you can get 2 for 1 entry if you print the voucher from their website. Ah I've been here as a kid and keep meaning to come back. At the age of 8 I was more interested in taking part in the workshops! 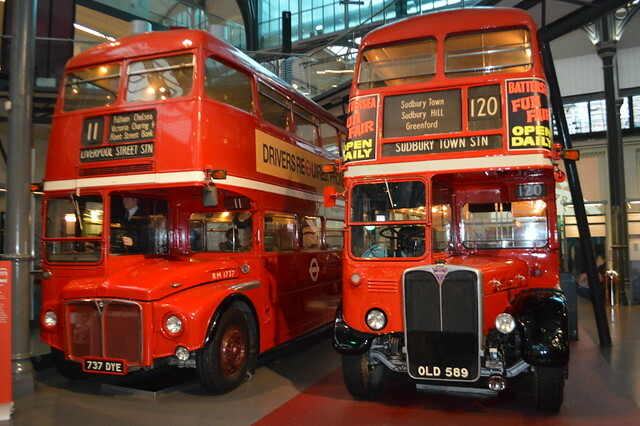 I really love the London transport museum and I hope that I m kiddoes would like it too. 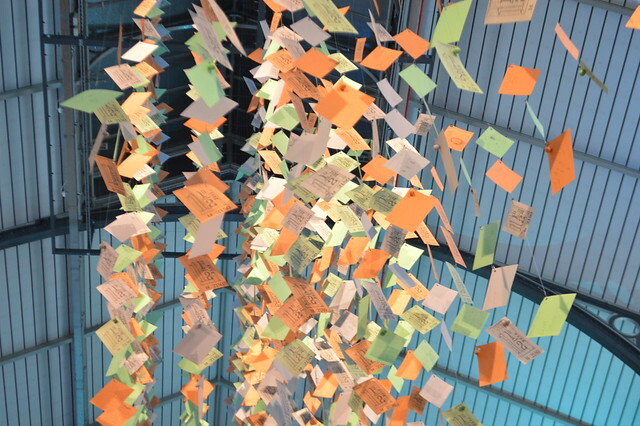 I absolutely love this museum, one of my faves in London. I took my little boy last year and he loved it too. Fab post. It's somewhere I've never thought to visit, but I'd kind of like to!